Bunco Printables – Print your own Bunco Set! We proudly sell all of our Bunco Printables in our Etsy store. 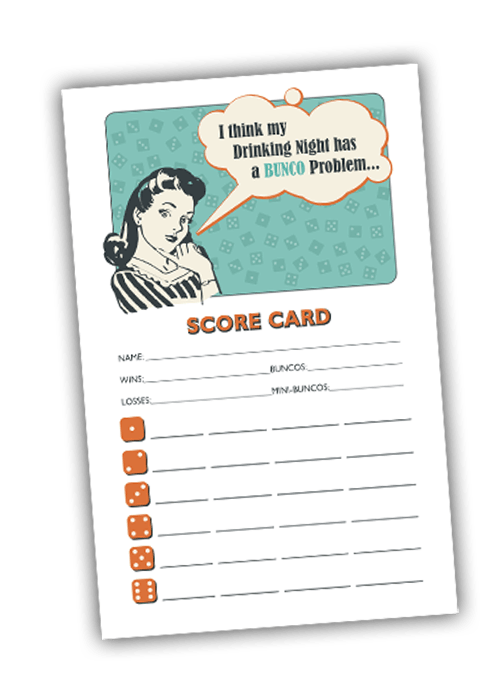 These printable PDF bunco sets include 12 score cards and 3 table makers. Once you purchase the files through etsy, you will download them to your desktop. Just open the file and click print! These Bunco Printables are set up to be 2 on a page. Once printed, you will have to cut each page in half to get the total 12 score cards and 3 markers. The 3 table markers are then folded in half to create tent cards. We do offer some coordinating and free bunco printables under our Freebies section. Pajama Party Bunco Set - Pajama Themed Bunko!